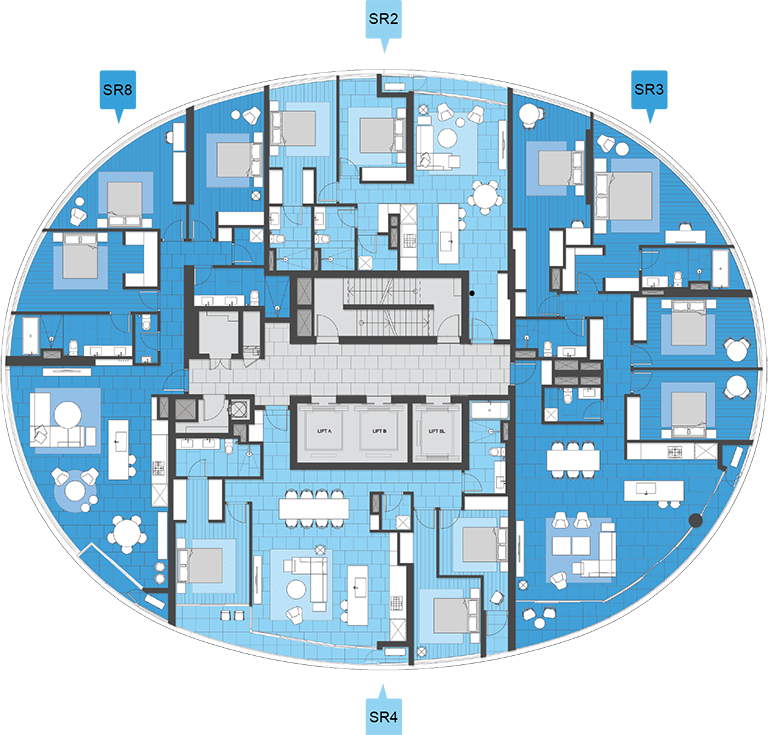 apartments has its own special character and unique personality. Creating an unparalleled level of style and luxury, The Penthouses at City Garden transform an ordinary life into one of sophistication and grandeur. From the moment you arrive, you’ll get a sense of the exclusivity that awaits you at every turn. Designed and fully fitted-out by internationally acclaimed architects and interior designers with striking entrance halls, open-plan living areas, lush bedrooms and marble-lined bathrooms, one space unfolds into the next, giving you a remarkable home to be proud of. Cosy evenings spent enjoying the sunset with a glass of fine wine. Surround yourself with natural stone finishes complemented by exceptional contemporary styling. Convenience for all of life’s little moments. Delight in quick breakfasts, long lunches and grand dinners with ease. Vastness accentuated by floor-to-ceiling glazing. Sit atop the world and bask in the comfort of a life well lived. Panoramic views stretch across the city and beyond. Marvel at the city’s ever-changing nature as it comes to rival the world’s most famous destinations. A seamless connection between inner and outer spaces. Wake up to sweeping, flow-through design which keeps you immersed in the cityscape while providing an oasis of calm. An abundance of fresh air and natural light elevate your sense of enjoyment. Revel in a generous combination of space while living beyond the borders of four walls. In a bustling city where ample quiet space has become a luxury, our newest apartments, The Executive Suites, are havens of peace and tranquillity. A spacious combined living, kitchen and dining area as well as two functional balconies with panoramic views make these stunning apartments the perfect family home in the centre of the city. Nearly 100 metres above ground level, The Sky Residences enjoy dramatic and entrancing views, breathtaking sunsets of pinks, crimsons and golds and Saigon’s mesmerising city lights. Accented with natural stones, woods and marbles, these contemporary homes also feature soaring ceilings and sweeping frontage. Notably, City Garden features three swimming pools, including a 50-metre lap pool with a swim-up bar, and a private gym staffed by internationally-trained fitness experts with top-of-the-line equipment. With a poolside restaurant and safe havens for children to play, friends and families have ample space to enjoy time together within the confines of our gated community. REFICO is a dynamic property development company, with strengths built upon its local knowledge and networks combined with international experience. 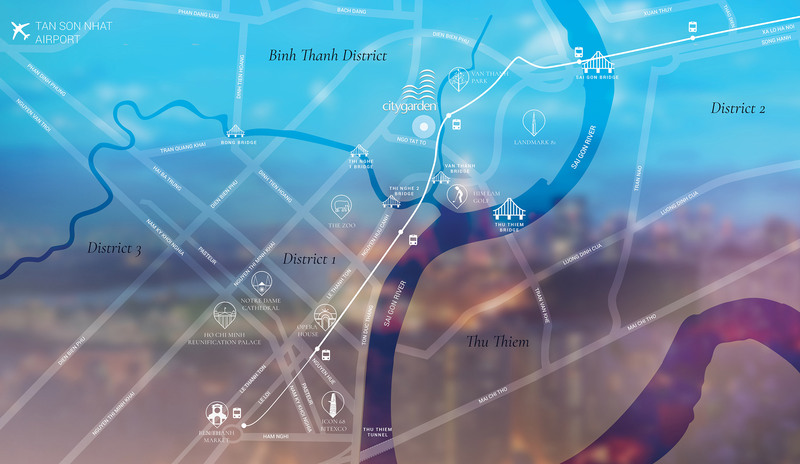 These foundations have allowed the company to secure premier opportunities in the dynamic and challenging Vietnamese property market, and deliver buildings and projects at true international standard.